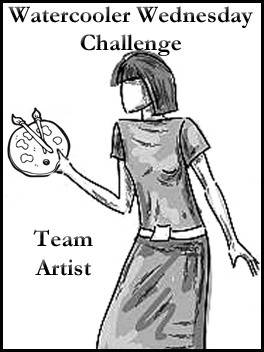 I have used this great Art Impressions stamp set (Reel Great Guys Set) a few times, but using only the main image, so I decided to see how I could change it up a bit incorporating some of the other smaller images. The images are coloured with Copics, the main image cut using a circle die and the smaller images fussy cut and attached to smaller circles using mounting tape. Some very old Heidi Swapp designer paper was cut and joined as the background. The bottom corners were finished with a corner rounder. 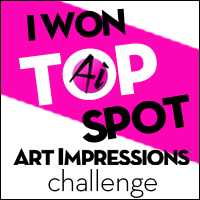 Art Impressions – Challenge 223 Anything Goes Week 2! Simply fabulous male card Helen. Love the dp and all the fish caught lol. Great colouring. What a great way to highlight your image, Love it Helen! Great job using just parts of the image Hel – such a fabulous image too. Thanks Lin. Have to come up with different ways to use those great stamps!